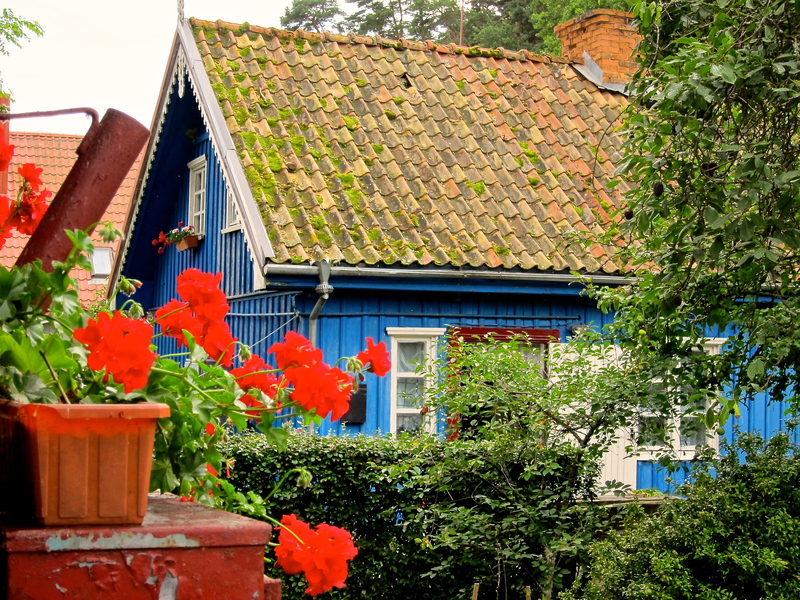 Baltic Cruise Day Eight: Klaipeda, Lithuania « How Do You Measure 525600 Minutes? Klaipeda is an important port city because it is almost always ice-free. Before 1945, it was known as Memel. Our tour choices were rather limited, so we chose “Fairy Tales & Legends of the Witches Hill and Amber Bay”. Sounds interesting, right? Well, if you were looking for excitement– the title was about as exciting as it got. 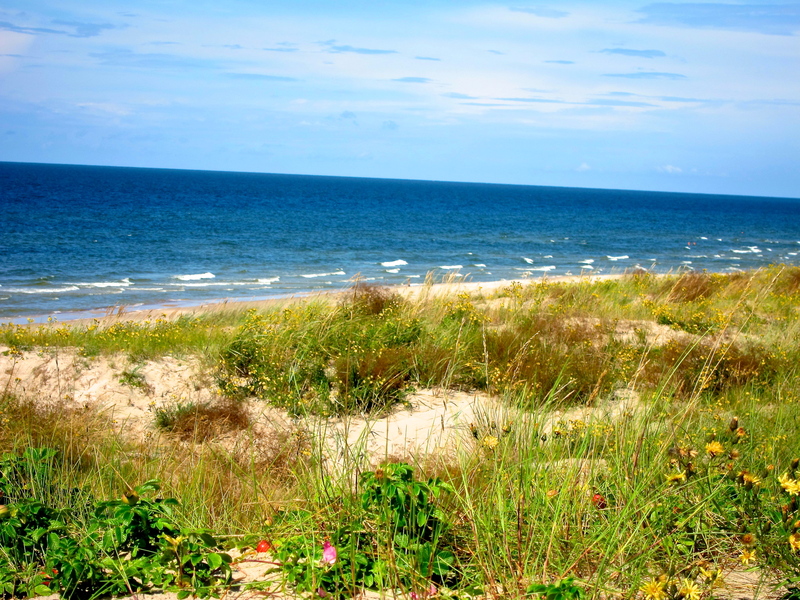 The Baltic Sea in Lithuania from the top of a sand dune. One of the hand-carved statues on Witches Hill. We took the bus to our next stop and we went on a two mile walk through the forest of Witches Hill, that was absolutely beautiful. Most of the people in our group were complaining about all the walking and I think they missed the beautiful landscape in the process. 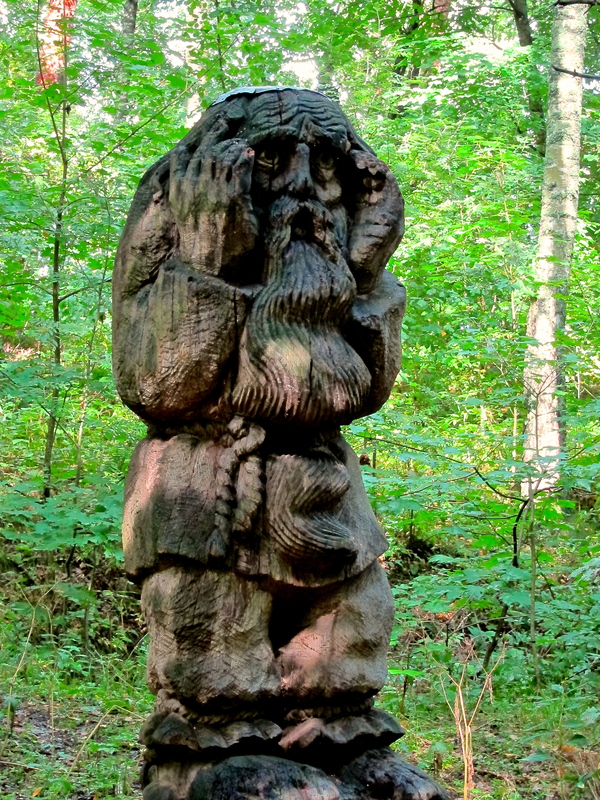 There were huge hand-carved wooden statues of mythical creatures scattered throughout the paths but our tour guide didn’t do a very good job of telling any stories behind them. I just really enjoyed the walk and the sweet, fresh air. 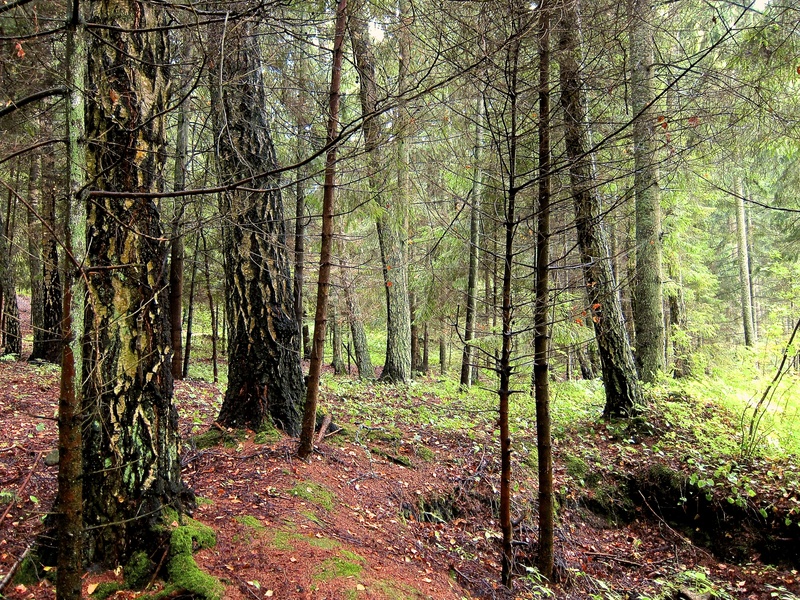 The forest of Witches Hill. Row houses near Witches Hill. 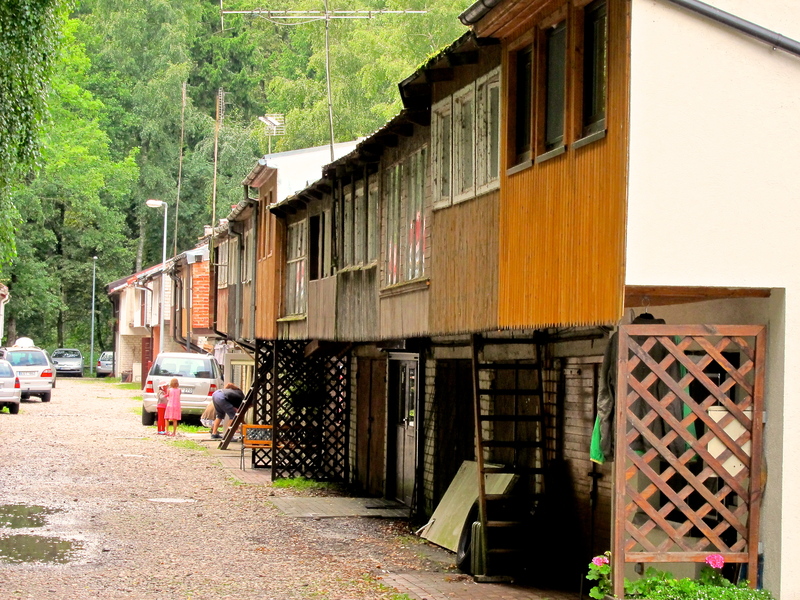 After that, we had a short break and I snapped a picture of some simpl, modern dwellings by a small garden and shop. The raised apartments didn’t look very big or very safe. After that, we headed to Amber Bay for a brief talk with a pastor of a small church about the local community. This really got people’s eyes rolling. The bottom line was that it was an opportunity for him to solicit donations for the church. A church that only has five parishioners. I think our group was just happy to be able to sit in the church pews after the long walk. Then we visited a weathervane museum that looked like a store, only none of the weathervanes on display were for sale. They did have other things you could buy though. We were offered shot glasses of syrup-thick amber tea and then we walked about a quarter mile along the bay. A cottage along Amber Bay. It was a relaxing day but a rather disappointing visit to a country I doubt I will ever visit again. What I saw was beautiful. I just wish I would have seen more. By jlinamen1229 in Lifestyle, Nature, Photo Essay, travel, Uncategorized on August 28, 2013 .